Please don’t cancel 24 legacy. When I’m done watching one, I can’t wait for the following week. This definitely has potential to continue. I believe it could unravel closure for Jack Baur eventually. I love this show! 24:Legacy is every bit as good as the original. And that comes from someone who couldn’t imagine 24 without Kiefer Sutherland. 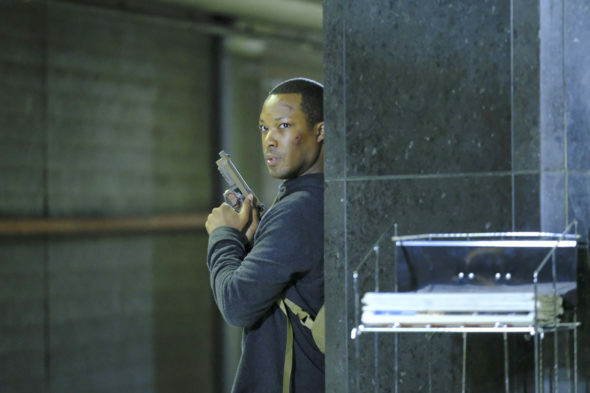 I hope 24:Legacy gets the renewal it so richly deserves. There’s so much crap on TV. Please don’t cancel this action packed quality show!!! Jack Bauer is now president of United States. This show is ok but please let’s be real this man is not Jack. There should be mini series for 24 Legacy or a TV movie for of them to have one more 24 thing to watch! I worked on this show and I can tell you that the passion and energy you see on screen was also my experience on set. I am extremely pleased at how well its done. Filling Jack Bauers shoes was, I am sure, a daunting task. But Eric Carter has managed to win the largest part of the hearts of Jack Bauer fans! I love it! I never miss this show. It’s a must watch for me. Unfortunately I have to work when the show airs in real time so I record it for my family to watch on the weekend. We are praying that it will be picked up for a second season. Dreadful is right. This is beyond a remake of the dynamic Jack Bauer series. Pl bring back Keifer!!!!! No there should not be a second season of the show it won’t make the ratings get good it will make them go down more for each episode! Just make Two 2 hour 24 Legacy TV movie that takes place two years after the end of season 1 that mite help the ratings go up ! as the original Jack Bower but this guy is doing a great job. I feel his acting on the screen and the tension he feels. Hopefully they will renew this show!!!! Really dreadful show down to acting and production value. The magic just isn’t there anymore. 24 w/o Jack Bauer is like air w/o oxygen- BRING JACK BACK!! Fingers crossed 24: Legacy is renewed! Thank you Georgia. I was hoping someone else could see beyond the Jack Baur character and realize that this is really a very good show.